KATELYN HIBBARD/Sun-Gazette Chad Eckert, city arborist, right, and Dave Oliver, of the city’s Streets and Parks Department, plant a flowering cherry tree in Brandon Park. The cherry was one of 12 varying trees planted in the park Tuesday, helping to replace those lost after a storm in May. Another six will be planted today. The Streets and Parks Department in collaboration with the Brandon Park and Shade Tree commissions planted 12 new trees in Brandon Park on Tuesday, helping to replace those felled during a storm in early May. Another six will be planted today. Chad Eckert, city forester, said they’re “getting a jump on Arbor Day” by planting the trees early. 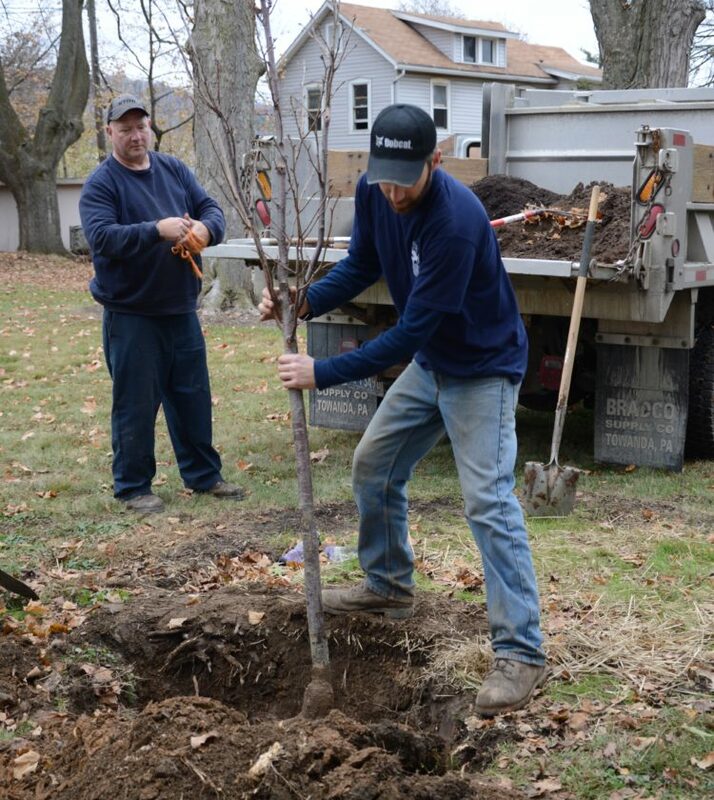 More trees will be planted in the spring before the annual Arbor Day celebration. The trees were bought using donations from community members, and were all bare-roots and supplied by Schichtel’s Nursery out of New York. The variety of trees purchased included swamp white oak, red oak, horse chestnut, hackberry, flowering cherry and yellowwood. 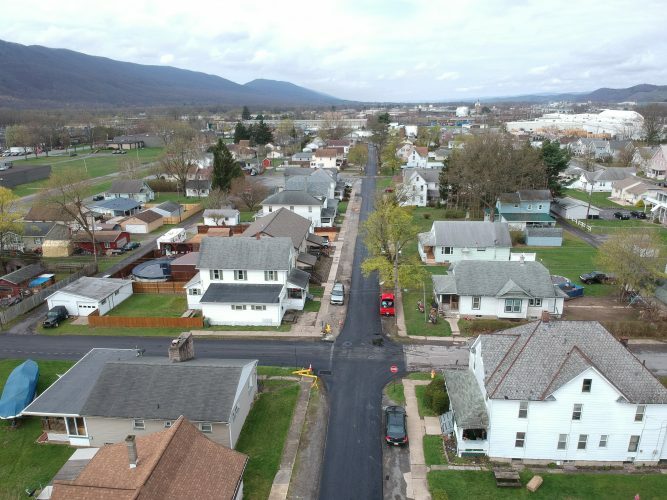 Another four trees were replaced downtown, as well — three along William Street near the Moon and Raven Public House and another on Pine Street in front of Le Chocolat, Eckert said. Warranties on the trees also were covered by the donations, said Thad Meckley, Brandon Park Commission chairman.